Those who have pet birds know they can make great companions. Not only are many birds replete with beautiful colors, but their songs can really make a house come alive or their “human-like voices” can amuse us for hours. Like other kinds of pets, birds have unique needs. Birds are well known for being slow to exhibit signs of disease, and for this reason it is recommended that birds be taken to see an avian veterinarian at least twice each year. At our veterinary hospital, veterinary care is provided to determine if birds have potentially dangerous parasites or diseases and, if so, how they can best be treated. 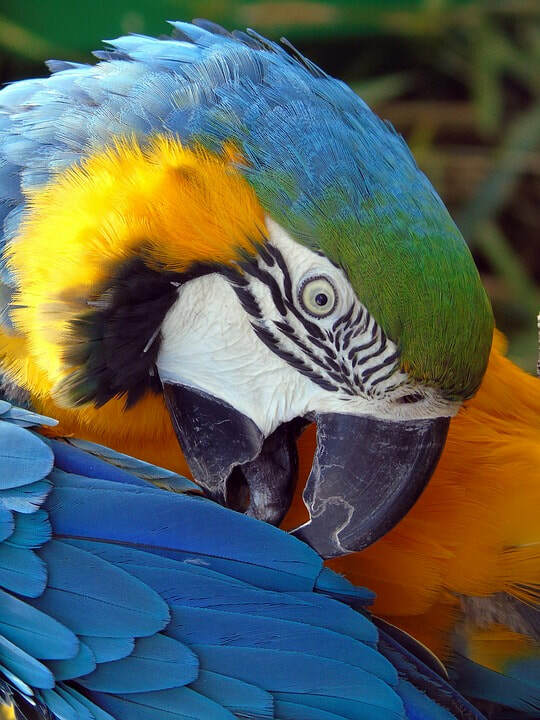 If you are a bird owner and are seeking an experienced group of avian veterinarians for a regular checkup or to address a specific issue, contact the Dog Cat & Bird Clinic of Nutley today. - Birds are highly intelligent and active animals. In the wild they are constantly moving around, looking for food, interacting with each other as well as objects in their environment. Recreating this behavior in captivity is essential to a happy life for your avian pet. - Provide a TV or Radio especially if you will not be home for some time. The calming sound of the radio or TV provides audible sounds as well as visual cues for entertainment. This is a great way to provide entertainment as well as the potential to increase your bird's vocabulary. - Provide a variety of safe toys that are specifically made for birds. These can be made from ropes, rawhide, wood, and plastic. Some may include bells, beads or mirrors. Choose the most appropriate toys for the specific type(s) of bird(s) you own. Safety is the most important thing to remember and be sure there are no small parts that your pet may ingest or lose string that your pet can get a toenail caught on. It is also important to remember to rotate through different toys every two to three weeks so your bird doesn't become bored with a particular toy. Some of the original toys can be placed back into the rotation as long they are alternated from time to time. - Some household items can be used as some basic forms of toys for your pet birds. Things such as paper, empty paper towel or toilet paper tubes can be used to provide things for your birds to chew on. Again, safety is the key and monitor your birds closely to ensure they are not ingesting anything given for t hem to chew on. - In the wild birds have to look for or even in some cases hunt for their food. In captivity, we provide their food and water in convenient bowls that makes it easy for them to find their food. Again, this lack of activity can lead to boredom in your pet bird. By mimicking this foraging behavior that naturally occurs in the normal life style of our pet birds, you will be providing such activity that will stimulate their natural behavior. 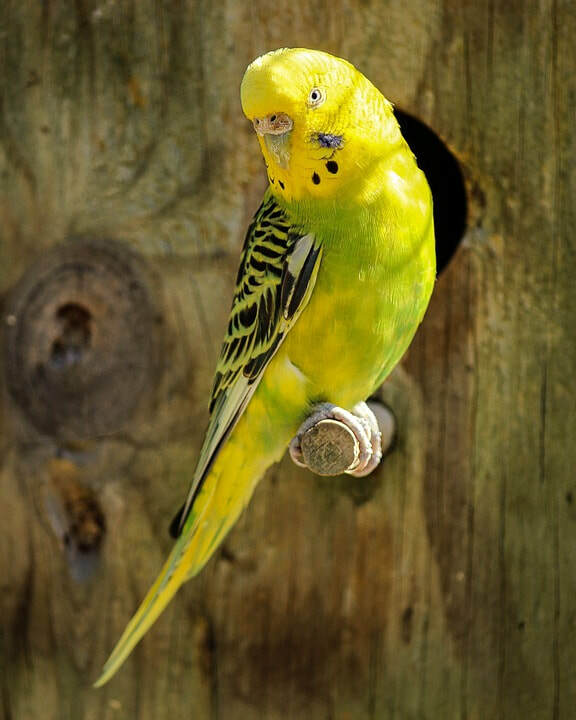 -This can essentially be done by hiding your birds food in easy to discover locations in their at home environment. This can be achieved by putting food inside covered bowls, empty paper towel or toilet paper tubes, inside specifically designed treat holders made for birds where they have to figure out how to get the food out of the holder. This "Hide ‘n Seek" technique for feeding your birds will provide both foraging behavior as well as environmental enrichment with a tasty surprise in the end. Keeping these intelligent beautiful animals busy, entertained and active is a crucial part to providing them with long healthy and more importantly happy lives! ﻿Q: WHY SHOULD I BRING MY BIRD TO A VETERINARIAN? Q: CAN I PREVENT MY BIRD FROM GETTING DISEASE? ​A: Bird's wings are clipped to create less wind resistance so your bird can't fly away and to aid with training. If done correctly, the bird should be able to maintain balance without flying away. Your veterinarian will evaluate blood feathers present to determine if they need removal.